Asp.Net MVC is picking up fast and yet there is not much expertise around it. Main reason I feel is now developer has complete control on markup so they approach in different ways. It is difficult to for a beginner to implement any design principles. Anyway, today I am going to showcase how to open a partial view dynamically as a popup using Jquery. 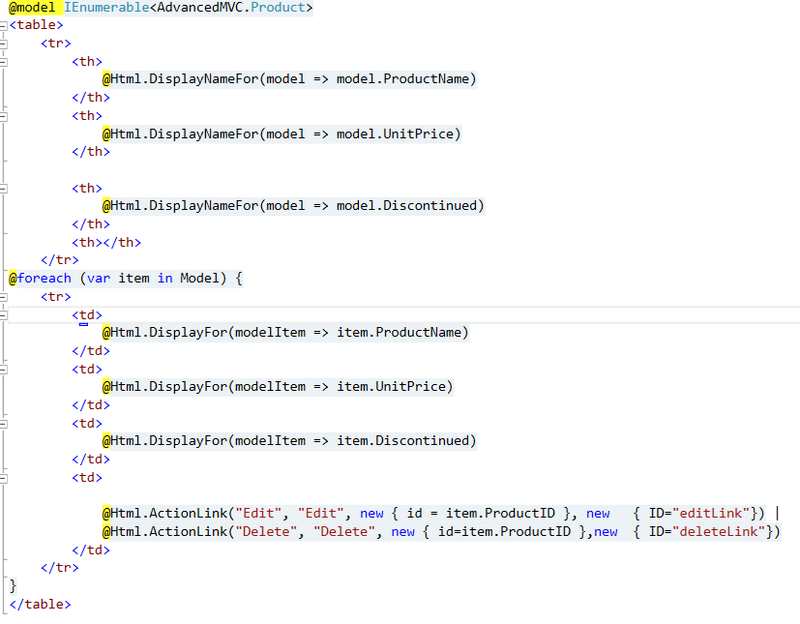 I am hoping you have basic idea of how MVC works and you know the Jquery syntax. View code: Main page ProductView.cshtml. click on the image to see the .cshtml code. Partial view html for list. Old classic view of productList page (it is also a partial view which rendres as a grid) with edit/delete links in each row. When you click on edit link in the grid, updateDialog div will open as a modal popup and load a partial view in that div dynamically using below code. 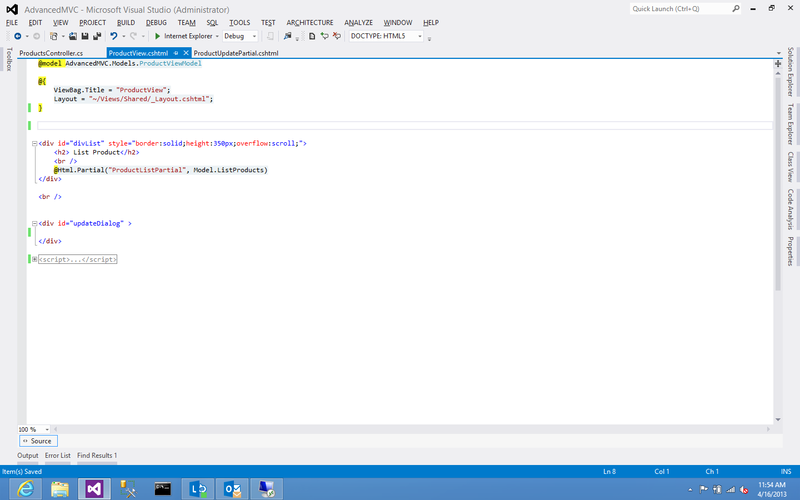 Controller action method which returns the partial view to be loaded in div updateDialog. finally jquery code to open popup and load partial view using ajax call. // on click of editLink in grid. // a partial view html. $(“#updateDialog”).html(data);// returned data is an html view which will be rendered inside the div. // in modal dialog popup Save button will be created. write what you want to do here. // parse the DOM within context of div id. I think the above code is all you need to implement dynamically loading of partial view in a div. I work with Microsoft and have 12 years of experience in developing,designing and leading reliable and scalable solutions for cloud and device ready businesses. Hi, thanks for the post! I was wondering if you could show the code in the ProductUpdatePartial view? could you share your project code ? I am trying it, but partialPage opens in the same page, not in Modal.